Loneta Fern Curtis, age 89, of El Dorado Springs, MO, passed away on Monday, January 28, 2013, at Community Springs Healthcare Facility, where she had resided for the past six years. Loneta was born August 2, 1923, in Cedar County, MO, to Willie and Nettie Mays. 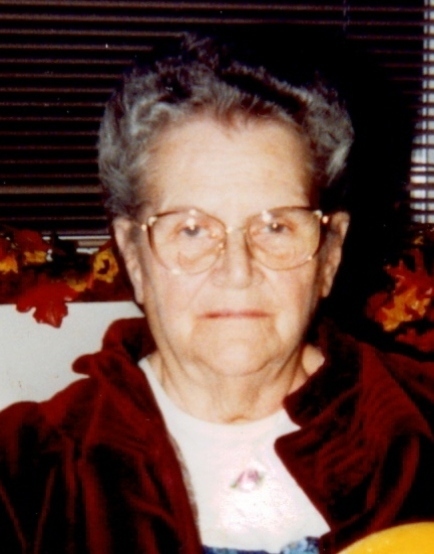 She grew up in the Lelia--Flat Rock Community and lived her entire life in Cedar County. She was married in 1939 to Clarence Marion Parsley, and after his death in 1973 was later married to Herschel Curtis. Loneta was a faithful member of the Church of God (Holiness) and attended services at the El Dorado Springs and Blackjack churches as long as she was able. She was saved when a young woman and was a special Christian lady. She was a real prayer warrior and loved to read her Bible. Different people from Community Springs have commented about how she read her Bible. She was always concerned about her family, and spent a lot of time in prayer for them. She also had a lot of special friends at Community Springs. She was preceded in death by her parents, Willie and Nettie Mays; an infant daughter, Marion Marcelle; her first husband, Clarence Parsley; a brother, Elmer Mays; her second husband, Herschel Curtis; and infant twin grandsons. Survivors include her daughter Beverly Myers and husband Lowell of the Humansville, MO area; one grandson Vance Myers of El Dorado Springs, MO; three great-granddaughters: Darcie Dille’ and her husband T.J. of Springfield, MO; Krysta Myers of Excello, MO; and Alyssa Myers of Springfield, MO; one great-grandson, Gabriel Christian Myers of Lamar, MO; three great-great-grandsons: Ember, Noah, and Asher Dille’; and several nieces, nephews and cousins. Not only will Loneta be greatly missed by her family and friends, but her prayers for them will be especially missed. Funeral services will be held on Thursday, January 31, 2013, at 2:00 p.m.at Bland-Hackleman Funeral Home with Rev. James Coleman and Rev. Joe Trussell officiating. The family will receive friends on Thursday from 1:00 p.m. until service time. Burial will follow in Love Cemetery under the direction of Bland-Hackleman Funeral Home. Pallbearers are Vance Myers, T.J. Dille’, Larry Mays, Lural Mays, Randy E. Bland, and Charles Worthington.